The media has had a drastic impact on not only the development of children and their image of what a person should be, but also the entire society’s view on what a person should be. 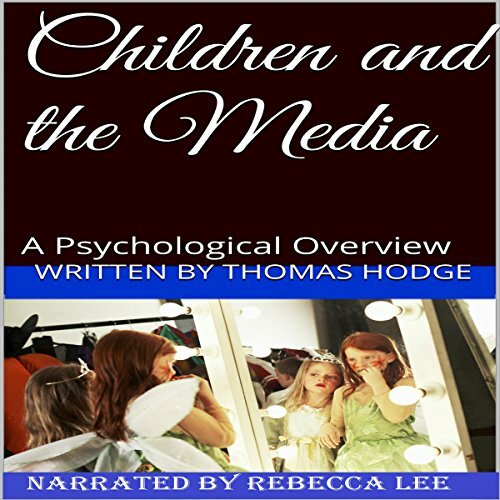 This audiobook provides a quick look at how the media impacts children and their development. It is designed to be straight forward and to make the listener think. Very short - very postulating. Would you ever listen to anything by Thomas Hodge again? Not if it was 9 minutes of claims with no references. What about Rebecca Lee’s performance did you like? Yes, no problem with the reading. What character would you cut from Children and the Media? The author as sole authority. In his place I would add references and cases. This is only 9 minutes. The author makes many arguments, some of which are sound enough, but manages to lose all credibility when he spends the latter part of the small program warning that exposure to unwholesome media stereotypes can literally turn girls into prostitutes.